Kuala Lumpur (AFP) - Malaysia may retaliate against an EU plan to curb palm oil use by purchasing new fighter jets from China instead of European arms companies, its leader said Sunday. The Southeast Asian country is the world's second largest palm oil producer after neighbouring Indonesia, and recently threatened to challenge the bloc's plan to phase out its use in biofuels at the World Trade Organization. 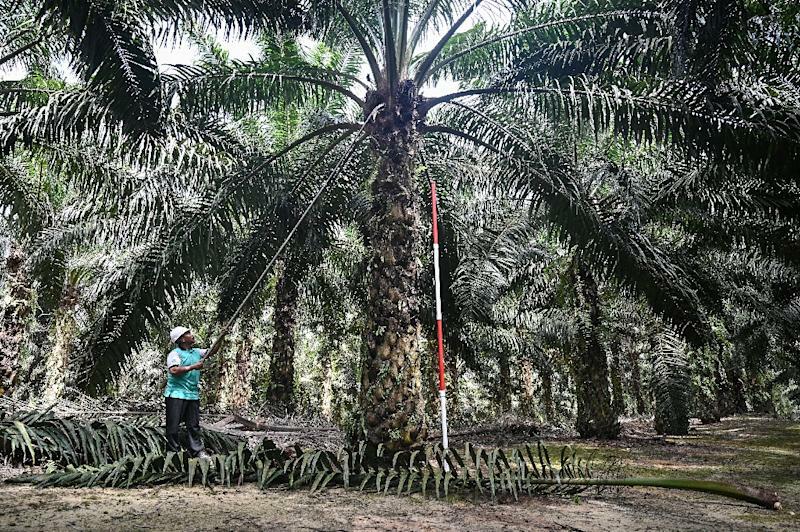 Both Malaysia and Indonesia have been at loggerheads with EU lawmakers over the crop's cultivation, which has caused rampant deforestation and destruction of wildlife. In his strongest statement yet on the proposed curbs, Malaysian Prime Minister Mahathir Mohamad said his country could look elsewhere to upgrade its ageing air force fleet of Russian Mig-29 fighters -- in effect abandoning plans to purchase France's Rafale jet or the Eurofighter Typhoon. "If they keep on taking action against us, we will think of buying airplanes from China or any other country," he was quoted as saying by the official Bernama news agency. But the premier said he was not "declaring war" on the EU as his country needed goods from the bloc, many members of which are among Malaysia's top trading partners. Mahathir's remarks come ahead of a five-day international defence exhibition starting Monday on the resort island of Langkawi, where representatives of global weapons manufacturers have gathered. Any EU palm oil curbs could seriously hurt farmers who represent an important voter base in both Malaysia and Indonesia. Both countries are struggling to spur demand in palm oil, which is used in everything from soap to chocolate. French lawmakers recently voted to remove palm oil from the country's biofuel scheme starting from next year.